Did an extra-terrestrial craft land in a Suffolk forest during the winter of 1980? The maker of a new film, The Rendlesham UFO Incident, believes so. 2) “When I arrived [at the scene], it was going in and out through the trees and at one stage it was hovering.” – Sgt. Adrian Bustinza, a security police commander who investigated the incident at the time. 3) “Okay, we’re looking at the thing; we’re probably about two to three hundred yards away. It looks like an eye winking at you… And the flash is so bright to the starscope that it almost burns your eye.” – Taken from the Halt tape, recorded on December 27 1980 by United States Air Force lieutenant colonel Charles Halt. Only last month, a dog walker uploaded fresh footage of unidentified lights in the sky above Rendlesham Forest, while a new film on the subject, produced by long-time Suffolk resident and Rendlesham Forest incident expert Daniel Simpson, has recently been released. 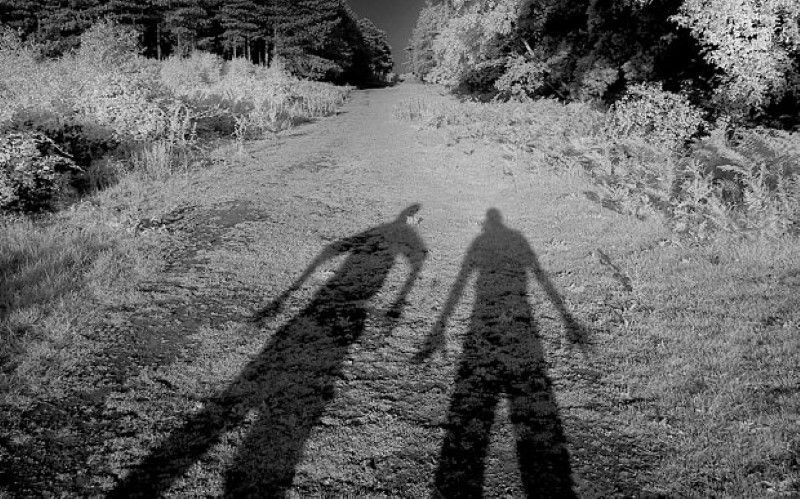 There is even an official UFO trail for walkers to follow through Rendlesham Forest. But what actually happened? And, 35 years after the event, are we any closer to unravelling the mystery? As the years have passed, the facts have become increasingly hazy, as statements change and new witnesses come forward. But what we do know for sure is that, in the early hours of December 26 1980, US military personnel (sections of the US Air Force were temporarily stationed at RAF bases in Woodbridge and Bentwaters) spotted strange lights above Rendlesham Forest. Burroughs does not recall this. Indentations on the forest floor, as well as damage to the trees in the area where the lights had been spotted, were found the following morning, however. Radiation levels recorded at the site of the indentations were also unusually high. In the book Encounter in Rendlesham Forest, which was published last year, Penniston writes: “I left the forest a different man… I was in awe of the technology and yes, a knowing that it was not an aircraft which could have been manufactured in 1980 or even now.” Both Penniston and Burroughs have since suffered from Post-Traumatic Stress Disorder. Two nights later, a different set of military personnel experienced a similar series of events. On this occasion, when the lights were spotted, Lieutenant Colonel Charles Halt was prepared. A pragmatic character, Halt intended to disprove the wild rumours swirling around RAF bases Woodbridge and Bentwaters. Arming himself with a recording device, he set out to investigate. The subsequent audio tape is now considered one of the most valuable pieces of evidence in the Rendlesham Forest incident. The following night, December 28, one final group of men claim to have encountered something out of the ordinary in Rendlesham Forest. Larry Warren, an 18-year-old soldier who was not even at either RAF base on the night of the first incident, was sent out on patrol with Sgt Adrian Bustinza and a number of other military personnel. Sometime after 11pm, the men departed their trucks and headed towards the field where lights had been seen on the previous two nights. At this stage, Warren and Bustinza were asked to retreat by a senior man. From a distance, they then claim to have witnessed Wing Commander Gordon Williams approach the craft and encounter some alien being with “what looked like eyes, facial features, bright clothing and some other device.” Warren is clear that a “silent stand-off”, rather than any communication, took place. Daniel Simpson takes a different view, however. The director of The Rendlesham UFO Incident, a fictionalised account of the story set in the modern day and filmed on location in Rendlesham Forest, is convinced that either there has been a military cover-up or that something extra-terrestrial occurred in December 1980. And moreover, he believes he has uncovered further evidence to prove it. While filming in Rendlesham Forest – “It does have a very strong atmosphere of something strange” – he asked the Forestry Commission to investigate a series of hatches, which Simpson describes as “mysterious”.